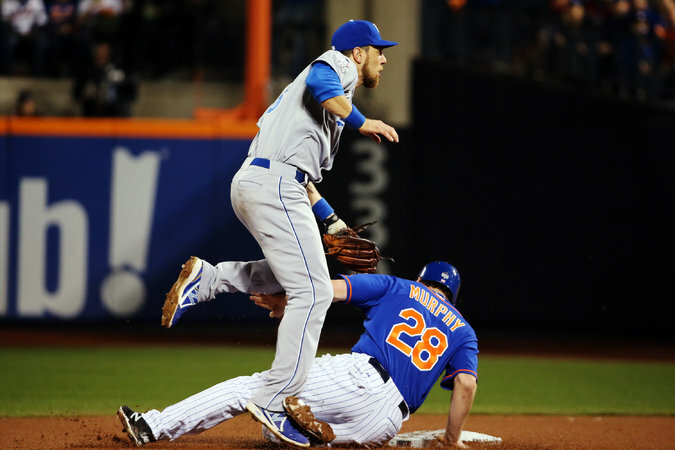 The Royals’ Ben Zobrist, tagging out the Mets’ Daniel Murphy in Game 5 of the World Series, is highly valued for his versatility. It is not difficult to spot a star player in the major leagues. For the most part, statistics of herculean nature speak for themselves. For instance, Mike Trout reached base 40 percent of the time in 2015 and slugged 41 home runs. The average “true distance” of Trout’s homers even registered 10.9 feet farther than the league average, according to ESPN’s Home Run Tracker. The equally dominating Clayton Kershaw stymied hitters with a Koufaxian 2.17 E.R.A. last season. He also led the major leagues with 301 strikeouts, the highest total for any pitcher since 2002. Kershaw is indisputably a star. A star is not typically a player whose career batting average sits at a pedestrian .265 and who has averaged only 12 home runs over the past three seasons.